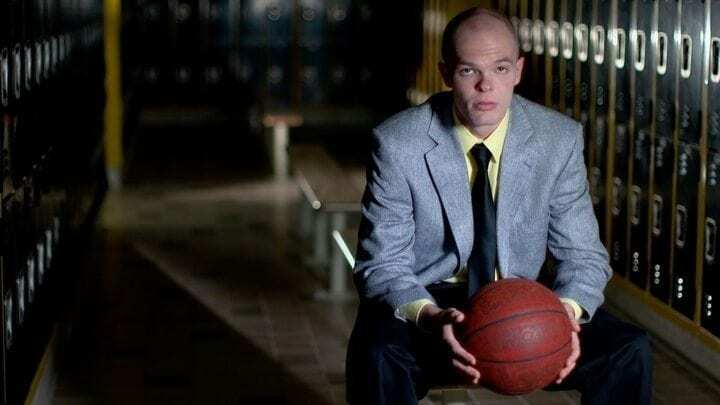 The tale of Jason McElwain, or J-Mac, is a sports story that exploded from local legend to national news almost overnight. 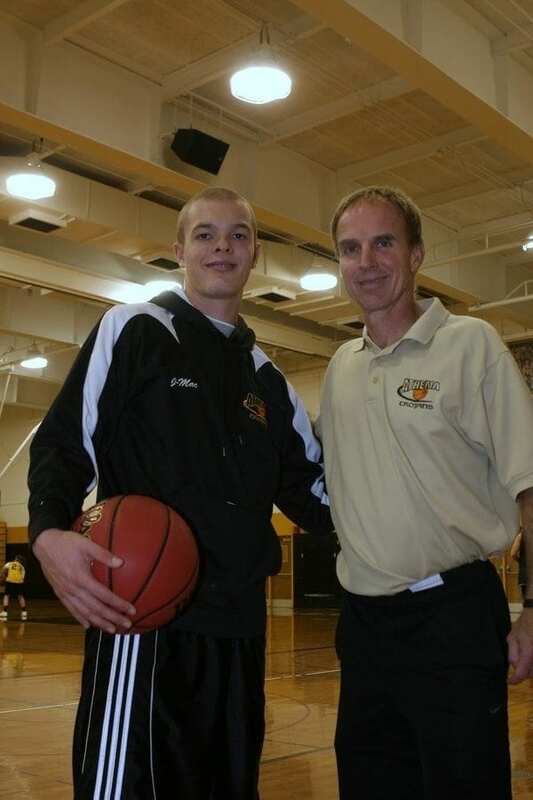 Autism never stopped J-Mac from pursuing his passion of playing basketball. After years of hard work, his tireless effort finally paid off when he was given the opportunity to check into the game. What happened next sent a gym full of ecstatic fans into absolute pandemonium. On October 1, 1987, near upstate New York’s bustling city of Rochester, David and Debbie McElwain welcomed their child, Jason, to the family. Jason McElwain – or “J-Mac” as so many lovingly call him – was the second of two sons, born one year after his brother Josh. 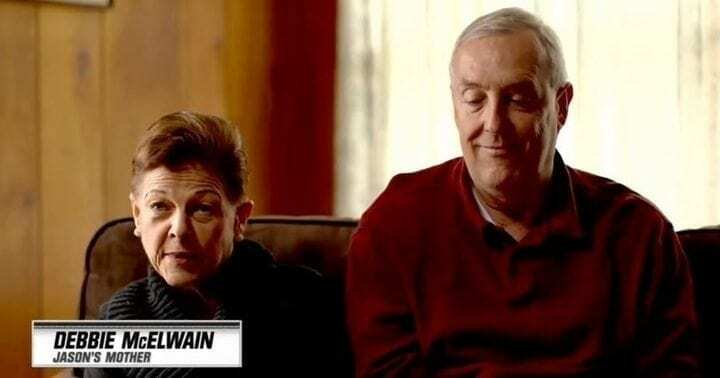 Living in the town of Greece directly bordering Rochester, the McElwains seemed to be the spitting image of the average suburban American family. It didn’t take long before the McElwains realized that was not quite the case. It only took a few months for Debbie to realize that the newest addition to the McElwain family did not have a “normal” response to love and affection as babies should. Despite how quickly J-Mac’s mother felt something was wrong, it took three years to conclude that autism was the reason behind it. Jason’s infancy and early childhood was an arduous time, as reclusive tendencies kept the child from speaking his first words until age five. Other developmental difficulties kept him from chewing food until age six. As J-Mac grew into his early adolescent years, everything began to change drastically. Once J-Mac had taken those huge steps in his development, his older brother, Josh, provided inspiration for another hugely important step. Like many younger siblings, J-Mac followed closely in his brother’s footsteps – which meant playing any and all sports. “He was different mentally, clearly, but physically, we were able to play the same sports. It kind of connected him more than anything,” Josh explained. It wasn’t long before basketball became J-Mac’s clear favorite. The game soon served as his sole passion morning, noon and night. 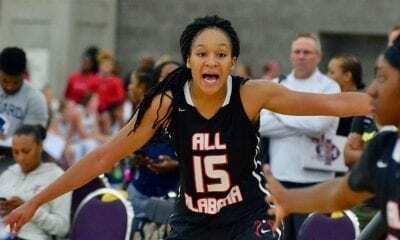 After years of shooting hoops and obsessing over the sport, J-Mac – now attending Greece Athena High School – was ready to try out for the basketball team. Unfortunately, his undying passion for the sport simply wasn’t enough to make the cut. 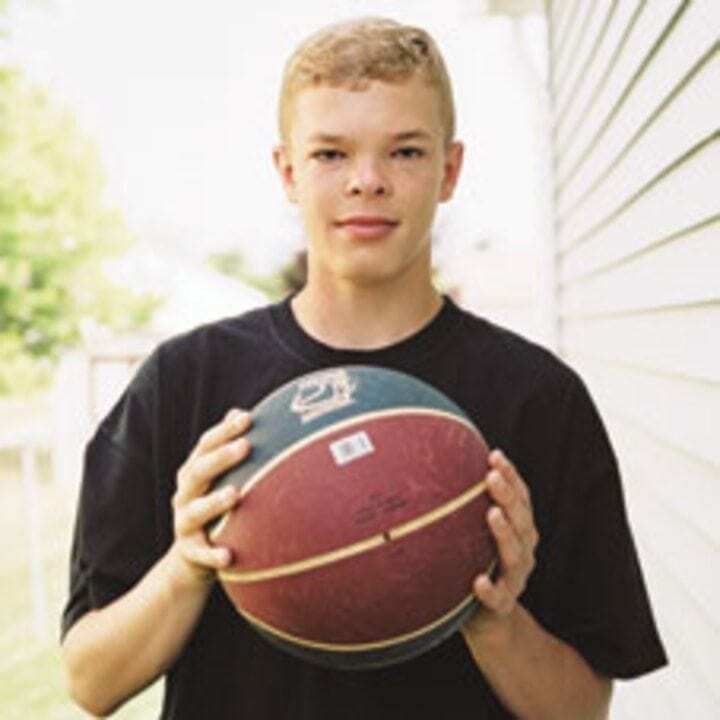 Despite his efforts, Jason’s wiry 5’7″ frame proved to be an impassable obstruction to achieving his high school hoop dreams of playing for the Trojans. Even still, McElwain would not be denied a chance to participate in the one thing that gave his life so much meaning. J-Mac’s mother made a call to Greece Athena to explain the importance of basketball in her son’s life. The school obliged her request. 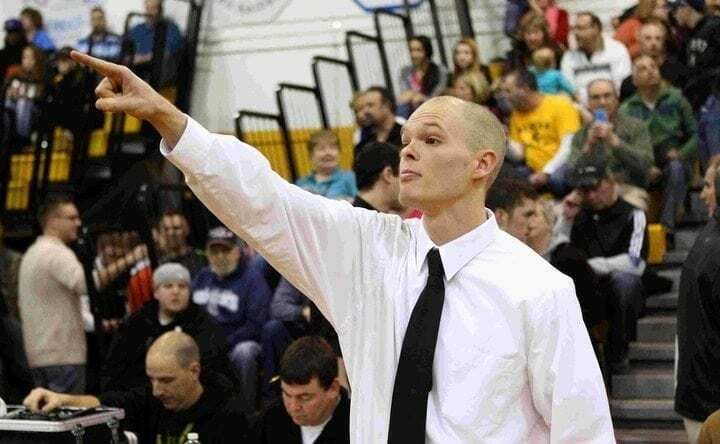 Just like that, the Trojans had a brand new student manager position open for Jason McElwain. Sure, he had to swap out the Trojans jersey for a shirt and tie, but the proud new member of Greece Athena’s basketball team was fully prepared to tackle his role in dress shoes. J-Mac took his role just as seriously as he would have if he’d been laced up in his court kicks. Even after accepting his new role with the team, J-Mac still put in the type of hard work one would expect from a star athlete. Every single day, Greece Athena’s student manager put up shots on his own time as if he were preparing for on-court action. McElwain put up at least 500 shots every day, just in case he was ever called on. As he passed from under to upperclassman, it seemed even more unlikely that he would ever get a chance to see in-game action. Still, he wanted to be as prepared as possible – because even the slightest chance of playing is still a chance. Basketball coach Jim Johnson has a mantra: Dreams really do come true. Despite much success as a coach, Johnson had yet to capture the Section V title for Athena Greece High School. While Johnson cared deeply about the team’s title dreams, he also wanted to make someone else’s dreams come true. 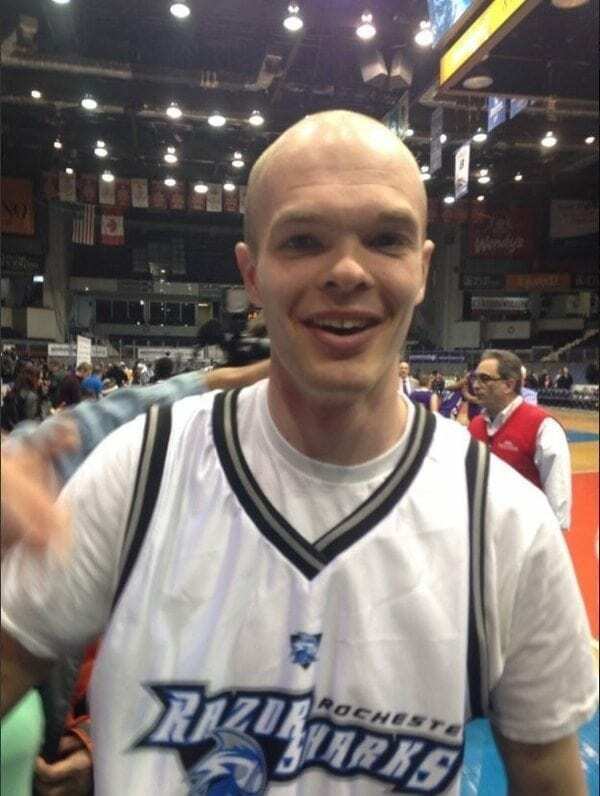 Three years in a row, Jason McElwain tried out for Johnson’s squad. Every time, the coach gave him the manager role. That didn’t deter J-Mac from reminding the coach (almost daily) of his preseason promise, though: to find McElwain a jersey and some playing time. After four years of working with the team as a manager, attending every practice, taking countless shots on personal time, and putting in early mornings and late nights, the big day had finally arrived – Senior Night at Greece Athena High School. Better yet, J-Mac’s coach told him to suit up for the special game. 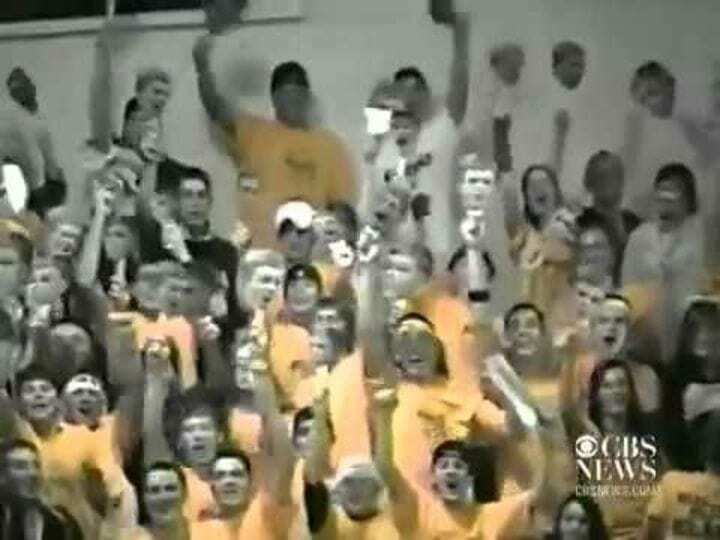 On February 15, 2006, Greece Athena hosted Spencerport High School. It looked as if the entire student body was in the stands. 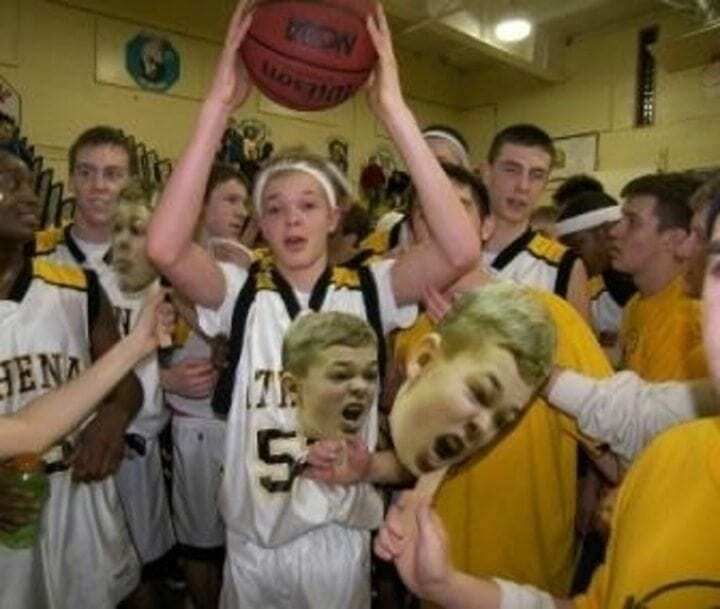 The packed gymnasium waved cut out J-Mac heads to cheer on their classmate. Right from the tip-off, Greece Athena’s talented squad put in some serious work to gain an early lead that only grew as the game went on. Even with a commanding lead, there was no guarantee that J-Mac would get in the game. 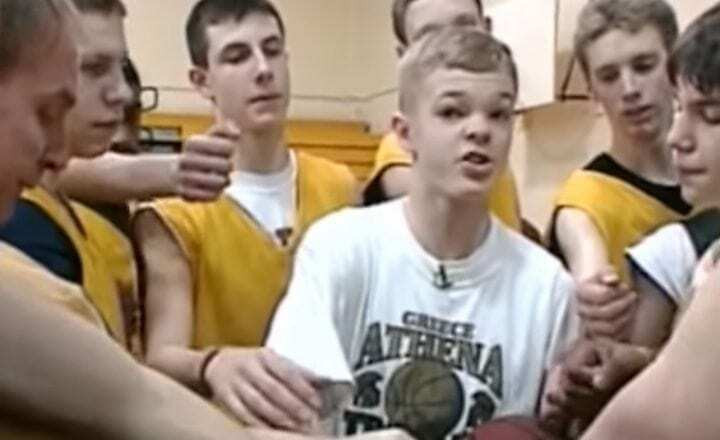 For Greece Athena High School, winning this game also meant claiming the division title. Then, his moment finally came. With 4:19 still on the clock, the coach turned to J-Mac and called on him to check into the game. The moment Jason McElwain rose from the bench and headed to the scorer’s table, the crowd erupted. The other Trojan basketball players were just as excited as the crowd to have J-Mac on the court; they quickly fed him the ball. It wasn’t a pretty start. The first shots up were an air ball followed by another miss. Then, something magical happened. J-Mac fired up another three and buried it. The gymnasium exploded. That was all the momentum J-Mac needed; he’d been waiting his entire life for this. Shot after shot, three after three, nothing could stop his hot hand. When the final buzzer sounded, the crowd rushed the court, raising up their improbable hero to celebrate a stunning 20-point night. 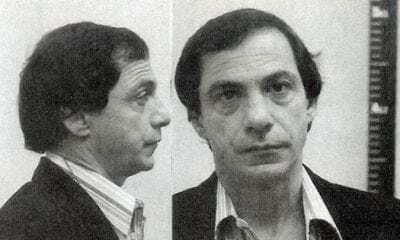 This momentous occasion may have never been perfectly captured the way it was, had it not been for Marcus Luciano. The student just happened to be filling in for the team’s regular videographer that night. Before the game, Luciano was given strict instructions to only track the team’s formations. Instead, the substitute cameraman continually panned the crowd, perfectly capturing the rapture of the moment. “I don’t want to sound cliché, but it really ingrained in me that you should think big all the time,” Luciano said, reflecting on the moment. After the incredible night, J-Mac’s speech/language pathologist, Andy McCormack, got ahold of the game tape. McCormack sent the video in to a local sports newscaster. He explained the special meaning behind the night, knowing it was newsworthy. As sure as McCormack was, he never could have imagined just how right his notion was. McElwain’s inspirational tale felt like fiction – even the local newscaster’s report almost sounded like a Disney channel movie script. Within days, news of McElwain’s historic night had swept across nation. After a local news station in Greece, NY picked up the story, ESPN caught wind of the touching piece. Very quickly, J-Mac became an overnight sensation. 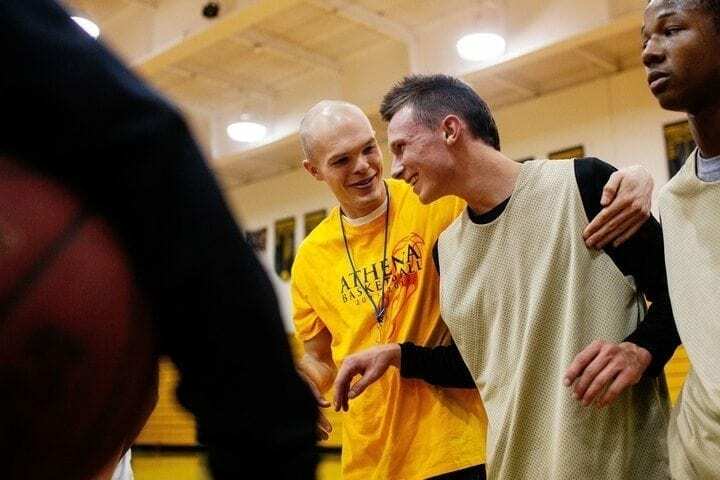 Everyone wanted to score an interview with the Trojans sharp shooter whose game was “hotter than a pistol.” J-Mac embraced the moment, welcoming the opportunity to serve as an example of someone able to overcome autism’s limitations. It was a microcosm of what had been a picture perfect season for the Greece Athena Trojans. 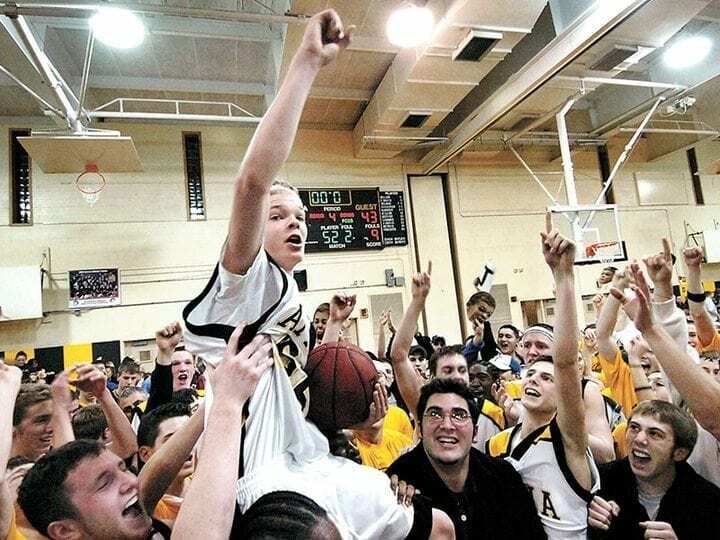 Their final game against the Spencerport Rangers, in which J-Mac went off for 20 points, helped secure the New York Section V basketball title. Not only did the Trojans win their sectional title, this was actually the first time Greece Athena had taken the Section V title in school history. Even with this storybook ending to the season, J-Mac’s newfound celebrity never could have prepared him for his growing influence. ESPN’s story on J-Mac pushed his notoriety over the edge. Jason McElwain became a household name, recognized in even the most influential homes. 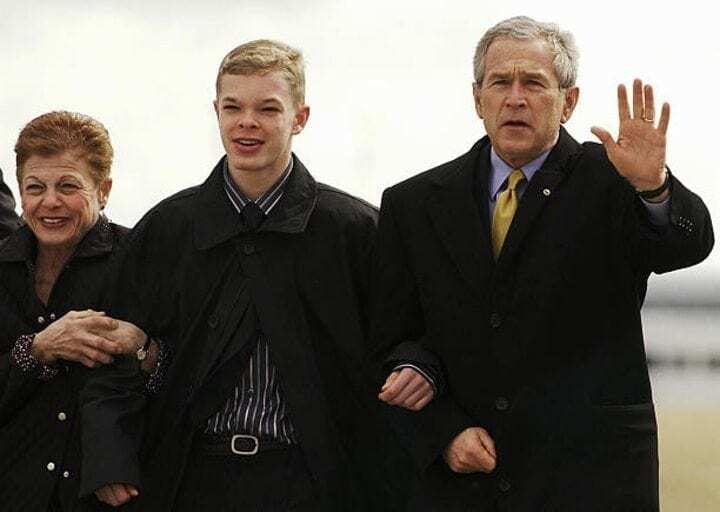 On March 14, 2006, then-president George W. Bush made a special stop at a nearby airport to meet the high school hero. “As you can see, a special person has greeted me at the airport. Jason, mind if I call you ‘J-Mac?’ I’ll call him J-Mac. You can call me ‘George W.,'” the President said. He admitted that McElwain’s incredible performance had brought him to tears. The story surrounding J-Mac’s miraculous night continued to garner attention. Its inspirational roots touched so many people. J-Mac’s 20-point game even earned him an invitation to the ESPY awards and a nomination for Best Moment in Sports. On July 16, 2006 the McElwain family walked the red carpet at the ESPYs. They were about to see how J-Mac’s triumph would compare to the accomplishments of the other ’06 nominees. The competition wasn’t easy, as his special night was up against three other inspirational accomplishments. Along with the touching story of 13-year-old Dakoda Dowd, who competed in an LPGA tournament while her mother fought cancer, J-Mac was pitted against two other basketball nominees. Two other incredible sports moments were facing J-Mac’s night. One was the story of No. 11 seed George Mason Patriots’ Cinderella run in the NCAA tournament to reach the Final Four. The other was Kobe Bryant’s unforgettable 81-point game against the Toronto Raptors. Historic as those feats were, the ESPY award for Best Moment in Sports went to J-Mac. 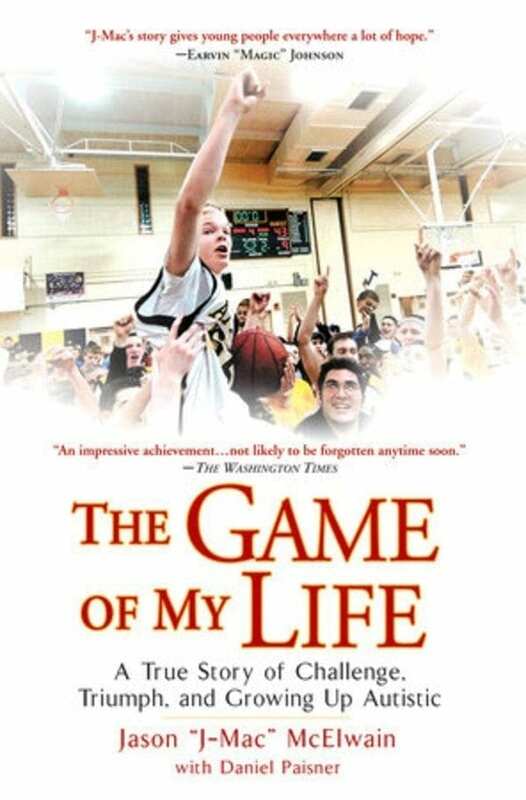 The award proved that Jason McElwain’s underdog story truly deserved every bit of the national attention it received. J-Mac stepped up on that stage to collect his hardware and hasn’t quite stepped out of the public eye since. 2006 was a big year for J-Mac, to say the least. 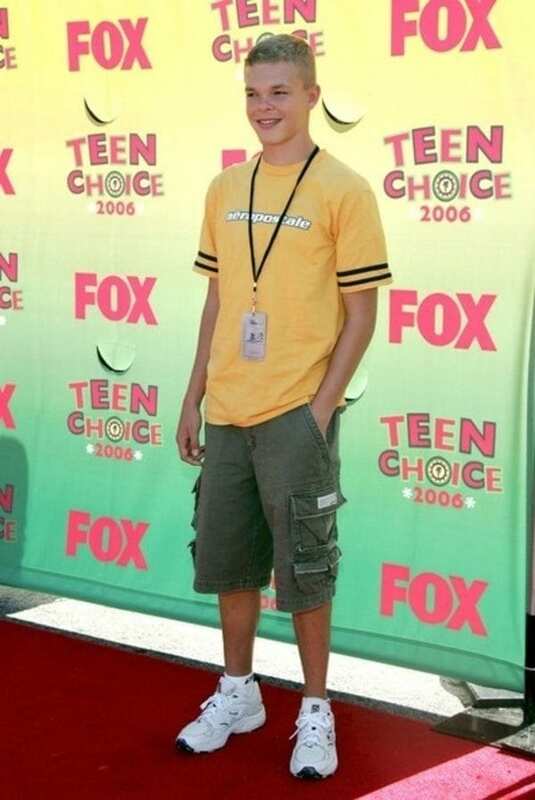 After picking up his ESPY award, McElwain attended the 8th Annual Teen Choice Awards on August 20, 2006 in Universal City, CA. There, actor Ashton Kutcher presented the high school hero with the Teen Choice Courage Award. J-Mac accepted the award in front of a cheering crowd. The entire nation was captivated by his story. 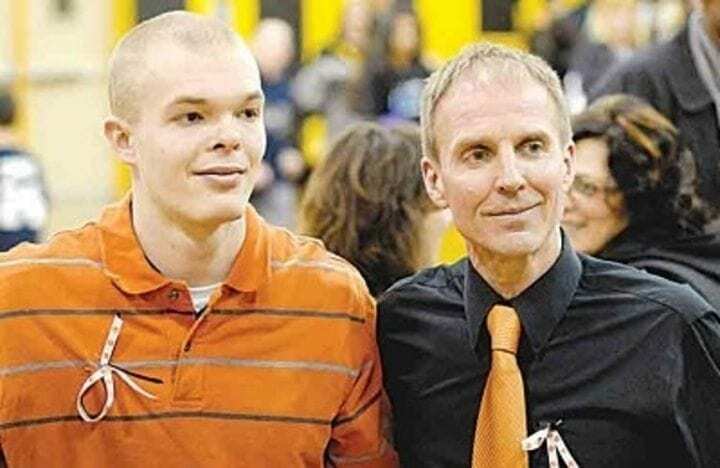 The team manager who’d never played in a single varsity game not only scored 20 points in one night, he also managed to change everyone’s mind about what was possible for a kid with autism. As he inspired others, McElwain also faced some challenges himself. Though J-Mac seemingly embraced the recognition with open arms, stepping out of relative obscurity and out in front of the cameras was not a seamless transition. An interview with CNN – one of J-Mac’s first on a national stage – did not go well at all. Rather than shy away from the spotlight, this actually drove McElwain to better prepare for the future. J-Mac began to write out and practice his speeches, dramatically improving his public speaking skills. 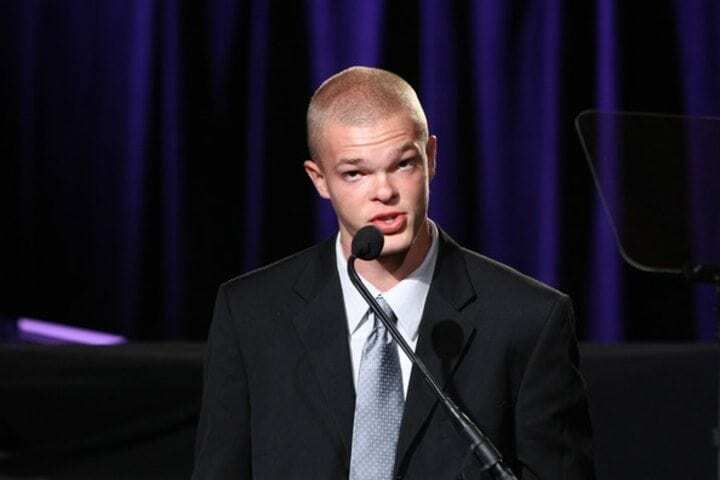 To say J-Mac showed remarkable progress – growing from a child who did not speak until the age of five into a well-versed public speaker – would be the understatement of a lifetime. A whole new J-Mac seemed ready to tackle the next chapter of life with confidence. McElwain began traveling the country. He made public appearances on television and talk shows to raise awareness about autism. The steadfast confidence J-Mac displayed on a consistent basis was unimaginable to most. He appeared on shows with massive audiences, like The Oprah Winfrey Show, Good Morning America and Larry King Live, among others. McElwain even got to attend the National Championship game of the NCAA Men’s Final Four on April 3, 2006 in Indianapolis, Indiana. 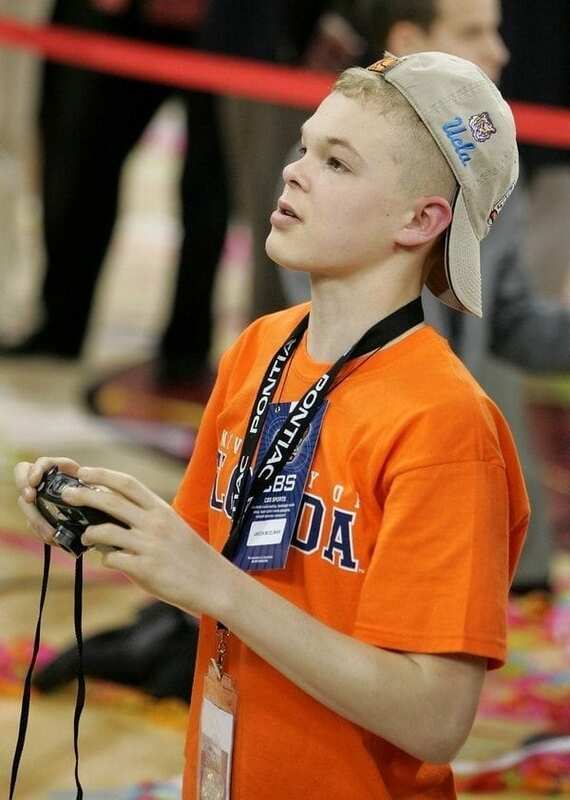 For a kid who was obsessed with basketball, sitting courtside for the big game between the Florida Gators and the UCLA Bruins was definitely a huge moment. As the world heard his story, J-Mac, along with his family, coach, and teammates, got to meet inspiring athletes and celebrities along the way. McElwain met iconic athletes Peyton Manning and Magic Johnson. He was making his own impact on the sports world, too. The true story of J-Mac’s triumph became too big to simply be contained by telling his tale in person, no matter how much McElwain traveled. 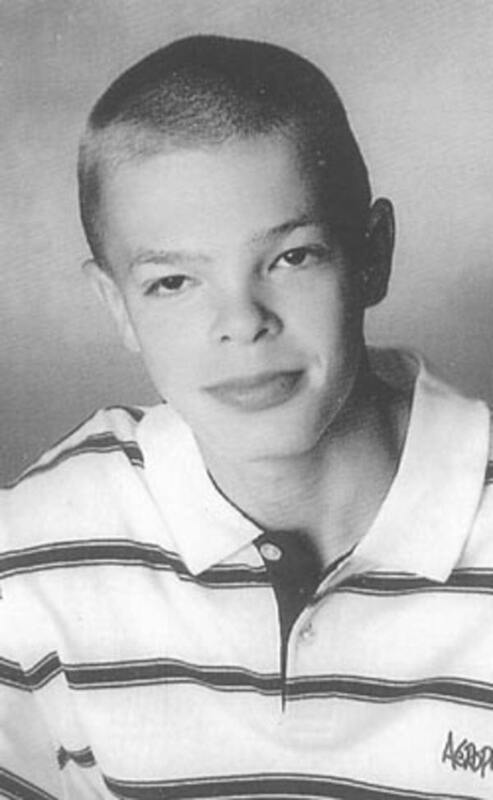 His ability to overcome the limitations autism presented, and his many accomplishments, were sources of encouragement for people from all walks of life. With co-author Daniel Paisner, J-Mac wrote The Game of My Life: A True Story of Challenge, Triumph, and Growing Up Autistic. The book was published in February 2008 by New American Library. It even received reviews from an array of celebrity athletes. While McElwain continued to tour the nation, his heart stayed close to home. 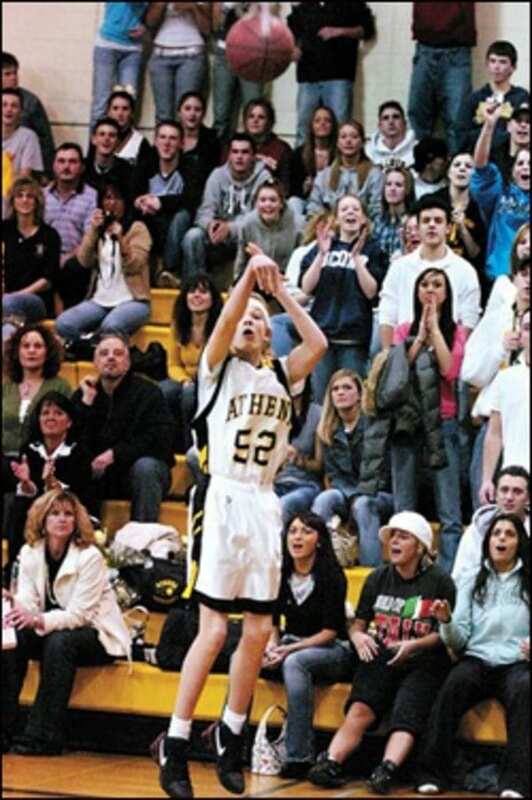 Even after graduating, J-Mac remained entrenched Greece Athena athletics. He returned to his alma mater to volunteer as an assistant coach. Along with helping to coach the basketball team, J-Mac extended his reach to other sports. He joined the coaching staff of the school’s cross country team. 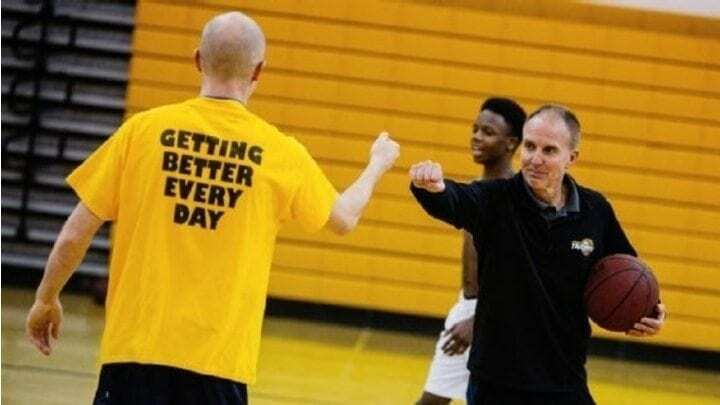 J-Mac showed the same dedication and positive attitude as he did during his time as the basketball team manager just hoping for a shot at getting in the game. He continued to give his all and set the tone for the teams around him. Nearly seven years had passed since McElwain’s iconic night, yet the celebration of his accomplishment was still far from over. In December 2013, Greece Athena held a special ceremony to retire its No. 52 – the number Jason McElwain had made so famous. The jersey retirement ceremony in Greece, NY may not have been as grandiose as the ESPYs in Los Angeles, CA. Still, its significance was not overlooked. McElwain’s jersey was only the second basketball jersey to be retired in the school’s history. J-Mac’s No. 52 joined former NBA forward and Mr. New York Basketball John Wallace’s jersey in Rochester history. Even though J-Mac had become entrenched in the coaching world, he wasn’t ready to call it quits on competing as an athlete himself. 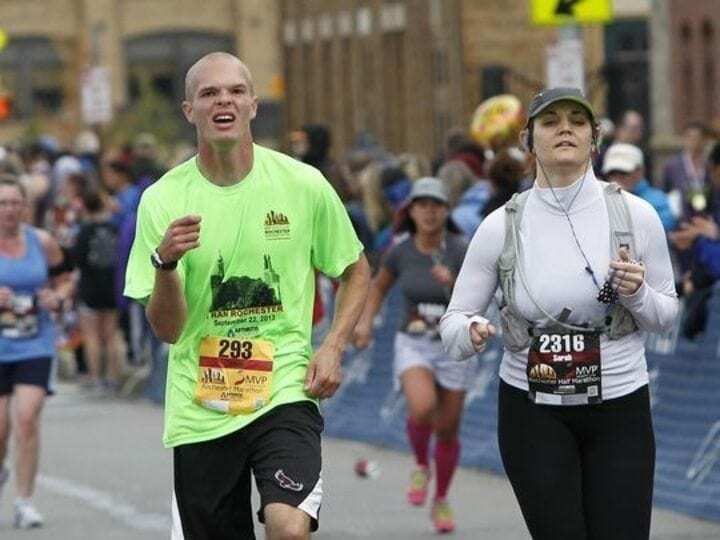 Dreaming big as ever, Jason McElwain set his sights on running the Boston Marathon. 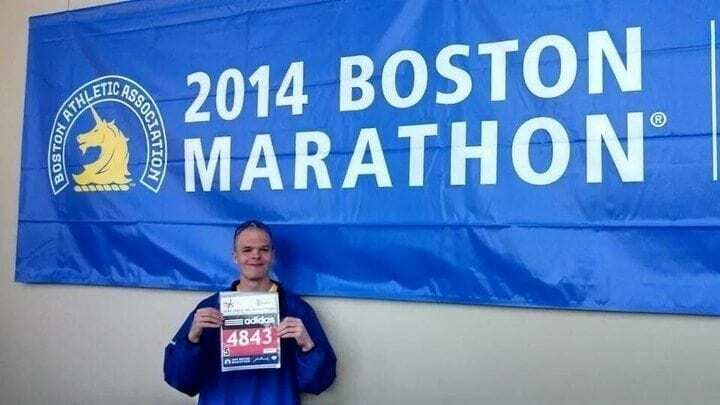 In order to reach the Boston Marathon, he would first have to qualify. This meant he needed to complete other official marathons and record a qualifying time. To qualify for the men’s 18-34 age group in Boston, J-Mac needed to beat a time of 3:05:00. So J-Mac started local. 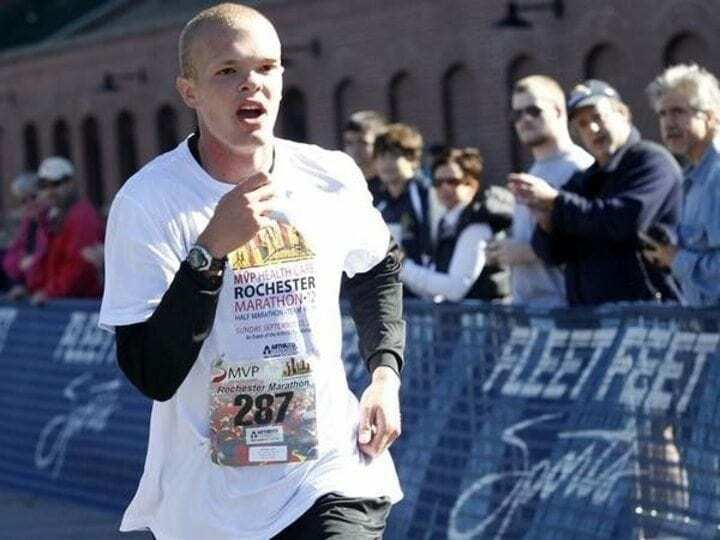 In September 2012, J-Mac ran the MVP Health Care Rochester Marathon. He finished 15th with a time of 3:01:39 to qualify for Boston. When the big day arrived, McElwain embraced his inner J-Mac, the athlete the entire world had witnessed nearly a decade before. With nerves as ice cold as that unforgettable night on the hardwood, J-Mac crossed the Boston finish line to the tune of a new personal best of 2:57:05. One decade removed from his historic night shooting the lights out, J-Mac got another incredible opportunity to prove he never lost that soft touch. On April 10, 2016 J-Mac signed a one-day contract with a local professional basketball team, the Rochester RazorSharks. McElwain donned his old No. 52 to take part in Autism Awareness Month. J-Mac did Rochester’s AutismUp organization proud when he checked in with 3:59 left in the game. Much like his four minutes of fame 10 years prior, J-Mac got hot as a pistol again, going off for 10 points. Since training for and completing the Boston Marathon, J-Mac hasn’t stopped running. On January 28, 2018 he proved that he hasn’t lost his step either. McElwain completed the Fitbit Miami Marathon with a time of 3:08:18. For McElwain, what began as a high school hoop dream has slowly blossomed into a flourishing competitive career in running. Though his sport has changed, J-Mac continues to test himself while inspiring others to do the same along the way. 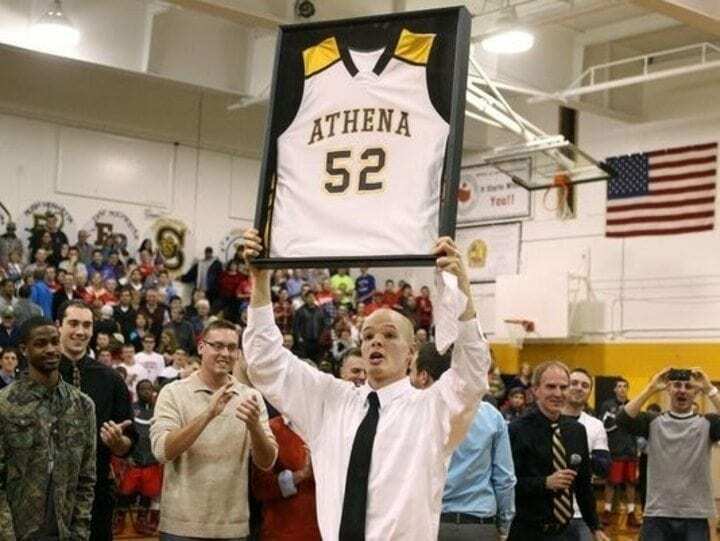 After several years as an assistant coach at Greece Athena High School, and 11 years after his star moment on the basketball court, J-Mac decided it was time to move on. “I want to concentrate on fitness full time,” he told the Democrat & Chronicle. McElwain is making room for his new passions. “I’m still planning to do the soccer thing in the fall but I want to dedicate more time to my own running career, my family and my job at Wegmans,” he said. J-Mac has undeniably created a unique legacy. He’s brought awareness to autism and inspired countless families and individuals affected by the developmental disorder. Though the years continue to pass, time will never bury this incredible tale. In fact, be sure to keep a lookout. McElwain’s story, which feels like it was ripped straight from a Hollywood movie script, literally garnered offers from the likes of Disney and other media megaliths. 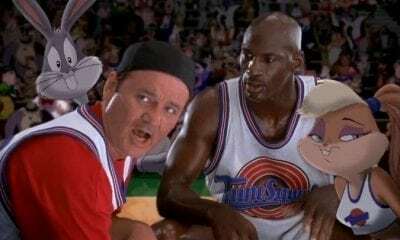 Columbia Pictures purchased the rights to make the film. 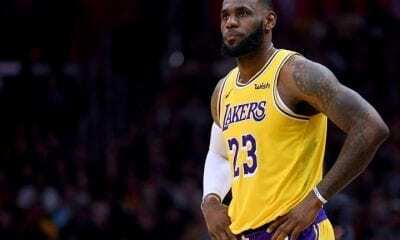 With superstars like Earvin “Magic” Johnson attached to the project, the next leg of J-Mac’s remarkable journey may very well take place on the silver screen.